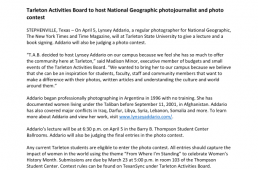 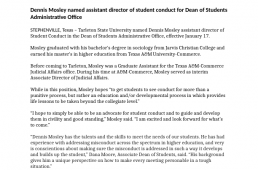 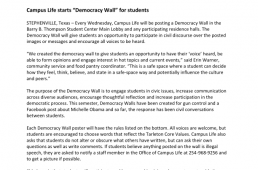 Press release written about the Democracy Wall that Campus Life created for Tarleton State University. 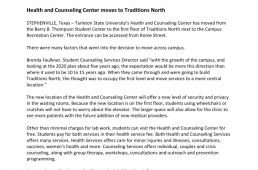 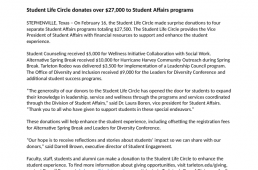 Press release written for the move of the health and counseling center. 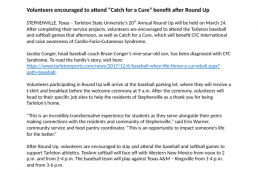 Press release written about the Tarleton State University spirit squads heading to the NCA Nationals.